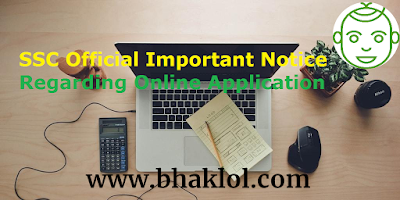 Staff Selection Commission has released important notice regarding Online Application. 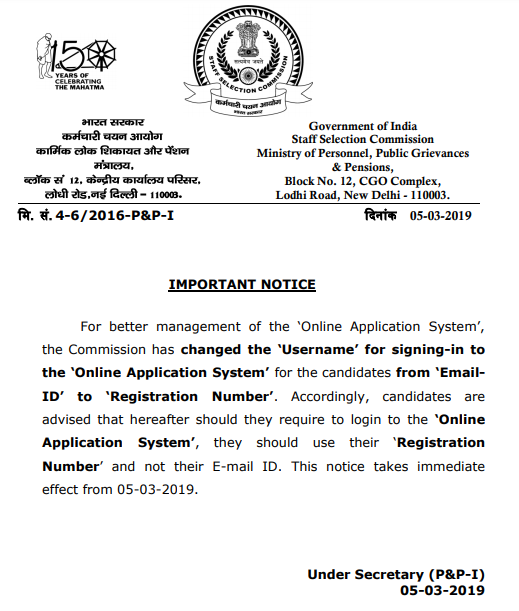 As per notice, For better management of the ‘Online Application System’, the SSC has changed the ‘Username’ for signing-in to the ‘Online Application System’ for the candidates from ‘EmailID’ to ‘Registration Number’. Accordingly, candidates are advised that hereafter should they require to login to the ‘Online Application System’, they should use their ‘Registration Number’ and not their E-mail ID. This notice takes immediate effect from 05-03-2019.